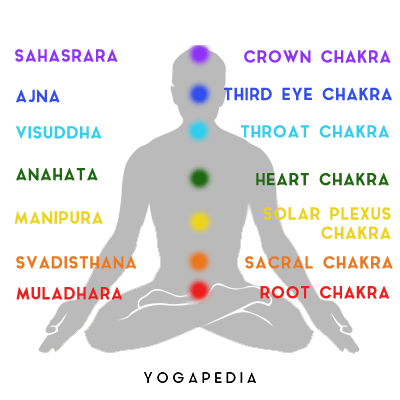 Chakra comes from the Sanskrit, cakra, which means "wheel." According to yoga traditions, a chakra is one of seven points in the human body, each responsible for a specific "spoke" of physiological function and emotional experience. Yoga and meditation are a means of keeping all of the body’s chakras unrestricted and open to the circulation of spiritual energy essential for health and emotional well-being. Chakras make up the subtle elements of the body, the untouchable aspects that, when working in harmony, circulate divine energy and regulate physical and emotional health.